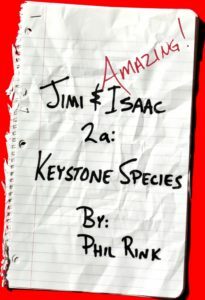 Jimi and Isaac Books are strongly and unapologetically informative! Sometimes they read like an instruction manual, because the kids that read Jimi and Isaac Books read a lot of instruction manuals and non-fiction. They watch TV shows and YouTube videos about building stuff, and they don't hesitate to tear something apart to see how it works. Our hope is that a focused kid will pick up one of our books for the stated subject matter, and then trust Jimi and Isaac enough to follow them into another area of interest. In every book, a problem presents itself and the boys need to learn and work to solve the problem. They fail constantly, struggle to recover, and success is often a less limited failure. The books are short and fast moving so more readers can succeed, but they are not simple books. They're full of information and intellectual challenges. Jimi and Isaac think they’re great soccer players. They’ve played for years, with Isaac’s dad as their coach. But their new middle school coach has different ideas about…almost everything. Now they need to play tough, play smart, and score goals, not just play with style and good humor. Isaac is much bigger than he used to be, but that doesn’t mean he’s better. Jimi’s frustrated with a lot of the changes that middle school brings. But he starts where he’s at, and builds from there. Because that’s how he gets better. Lots of soccer details make this book perfect for the soccer-obsessed kid. Buy it Now! A bigger field, leading off and stealing bases – real baseball! 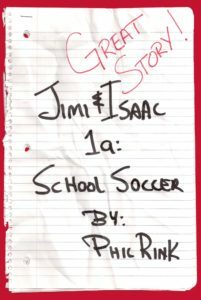 Jimi and Isaac are moving up from Little League. 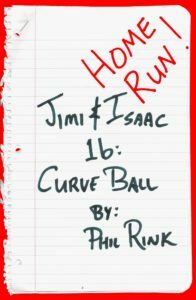 Jimi thinks baseball is a muscle memory game: you play how you practice. Isaac thinks baseball is just like everything else: the real game is between your head and the head of your opponent. There's only one way to find out who's right: PLAY BALL! The perfect book for the baseball-obsessed kid! Buy it NOW! Jimi and Isaac think they’re going on a boat ride. 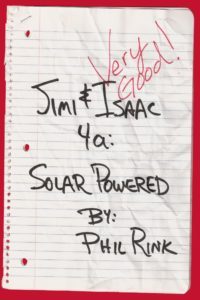 A simple vacation with Jimi’s uncle Tim. But hanging around with Uncle Tim is rarely simple. They soon find out that Tim’s ideas about boating and environmentalism are not what they’re used to. Luckily, Tim’s girlfriend Mary knows that Tim is a mess, and she makes sure the boys learn what they need to know about boats, boating, and responsibility. When Tim’s poor planning produces poor results, the boys have to well, save everything. The best way to learn is by doing. Looks like the boys will learn a lot…if they want to get home. Buy it Now! Introverted Jimi and brilliant but obnoxious Isaac pester their billionaire buddy Ash Berg into letting them “jazz up” his space expedition. Ash plays along, knowing they will fail and learn from their failure. Isaac prefers to make a limited but credible effort and claim a limited but credible victory. Middle school has plenty of other things to do that are more fun than failing. Jimi wants more – but good help is hard to find. He takes the challenge seriously as he fails and learns and fails some more. 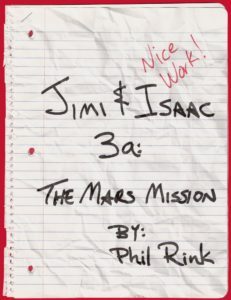 Jimi eventually comes up with something that’s not completely stupid, and is ready to send his idea to Mars. Too bad Jimi’s rich friend has forgotten about the whole thing. Maybe Jimi did all that work for nothing. Full of information about space travel, inventing, and the business of science. Buy it Now! Jimi & Isaac think they are going to have a fun summer away from their parents and on Grandpa’s farm. They quickly realized that living on a farm is more than sunshine and hay rides, it’s real work. There is a lot to learn about the chickens and the dairy cows and life in the country. They learn as much as they can as fast as they can, so they can help with the fun chores. Just as they are getting in the groove, Grandpa gets hurt pulling a calf and it's up to Jimi and Isaac to get all the chores done. It's up to them to get the cows fed. It's up to them to get the cows milked, and the eggs and the milk to market. Sure, Grandpa's friends and family can help, too, but they all have their own farms and busy lives. Farmers, farmer's kids, and animal lovers will enjoy this book! I saac Farmer figured the best way to win the science fair was to make the judges think he could save the planet, so he did this big display on “green” stuff. He put in everything he could think of (like solar power and wind power and stream power and outhouse power) and made it sound like it all worked and he understood everything. All he really did was copy stuff off the Internet. It fooled the judges and he won, but then the adults in his world got involved and Isaac had to actually build something that actually worked. He finds out that science is as much about working with other people as it is about working with things, and that’s not an easy lesson for Isaac. This story is about the business and art of science and the science of business. Buy it Now! Isaac is used to solving problems. When Isaac’s dad falls off a roof and hurts his brain, Isaac has a new kind of problem. He has to deal with a problem he can’t solve. Maybe nobody can solve the problem. 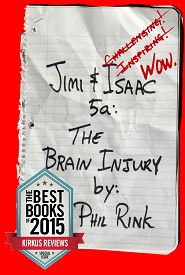 Isaac tries to deal with his dad’s injury by learning the science, but that’s not enough. He can’t fix his dad’s brain, he can’t fix how helpless his mom feels, and he can’t stop making things worse. He has to learn to deal with how he feels about medicine, science, his father, and everything. Luckily, Isaac has good friends, because sometimes good friends are a very good thing to have...even if they’re not scientists. Buy it Now!